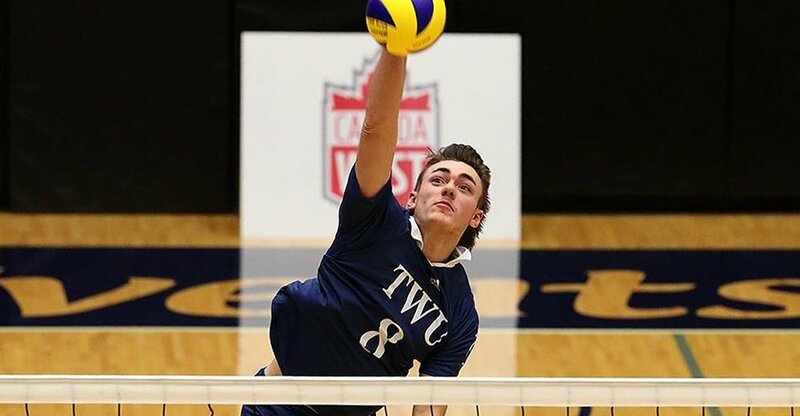 The Trinity Western Spartans have been named men’s volleyball tournament favourites in the lead-up to an action-packed weekend of #CHAMPSZN. On the ice, the 2018 U SPORTS Cavendish Farms University Cup will be hosted by the UNB Varsity Reds while the Western Mustangs welcome the 2018 U SPORTS Women’s Hockey Championship. On the court, the TELUS 2018 SPORTS Men’s Volleyball Championship will be hosted by the McMaster Marauders, while the Laval Rouge et Or will organize the 2018 U SPORTS Women’s Volleyball Championship presented by Hôtel Universel Québec. 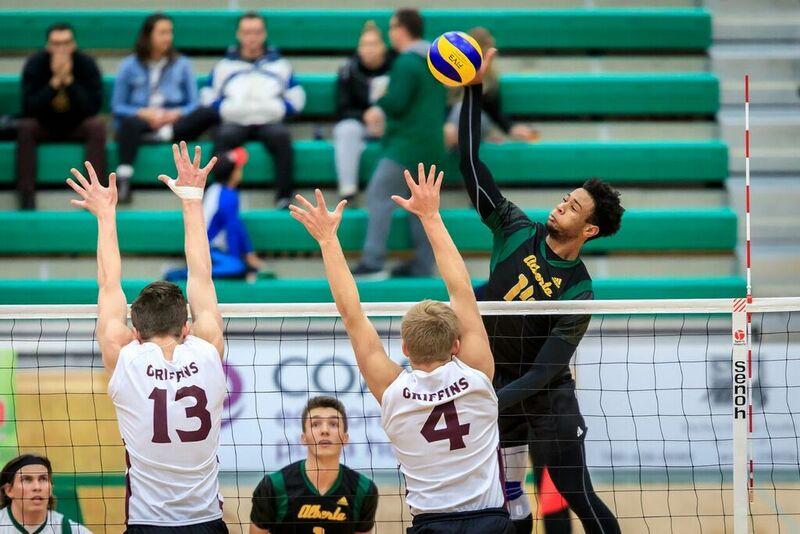 The TELUS 2018 U SPORTS Men’s Volleyball Championship kicks off on Friday at the Burridge Gymnasium in Hamilton, Ont., and concludes next Sunday with the gold-medal final at 4 p.m. ET / 1 p.m. PT. All games will be livestreamed at USPORTS.LIVE. A championship schedule and team-by-team previews are available below. The No. 1 ranked and Canada West champion Trinity Western Spartans enter the 2018 U SPORTS championship looking for their third straight national title. The Spartans, who have five national championships, come in to the U SPORTS tournament as one of the favourites after another dominant season in which they finished on top of Canada West with a program best 22-win season. The Spartans’ only two losses on the season bracketed a program best 15 match winning streak. The Canada West title was the program’s fifth conference title in program history. Competing in their ninth straight national championship tournament and 13th in program history, the Spartans will be looking for their fifth U SPORTS title in eight years and what would be their seventh national final appearance in nine seasons. At the national championship, TWU has an impressive record of 28 wins and 8 losses in 12 appearances including 10 medals: five gold, three silver, and two bronze since 2004. The Spartans are led by Canada West MVP and All-Canadian setter Adam Schriemer and Canada West first team all-star and 2017 U SPORTS Rookie of the Year Eric Loeppky. Despite losing three graduating U SPORTS All-Canadians over the summer in Brett Walsh, Ryan Nickifor, and Taylor Arnett, the Golden Bears volleyball team never fell out of contention with one of their youngest rosters. Playing in arguably the toughest conference in Canada, Alberta finished third in Canada West with a 19-5 conference record and were routinely ranked inside the top five in the U SPORTS Top 10 rankings. Led by sophomore outside hitter Taryq Sani, who led Canada West with 362 kills, and finished 11th with 168 digs, the Bears set themselves up for another deep run at nationals following a series sweep of UBC in the semifinal. Alberta’s trip to McMaster marks their 18th consecutive season qualifying for the U SPORTS Championship, and 23rd appearance in 25 seasons under head coach Terry Danyluk. Following their best regular season record in decades, the UBC Thunderbirds have advanced to their second straight U SPORTS national championship in search of their first banner since 1983. Finishing the regular season as the No.2-ranked team in the country, the T-Birds finished 20-4, just four points behind the top-ranked Trinity Western Spartans. The team dispatched the Manitoba Bisons with relative ease in the conference quarter-final by 3-1 and 3-0 scores to advance to the semifinals the following weekend. But the ‘Birds ran into a hot Alberta Golden Bears team that swept UBC, the first time all season the T-Birds had lost back-to-back matches. 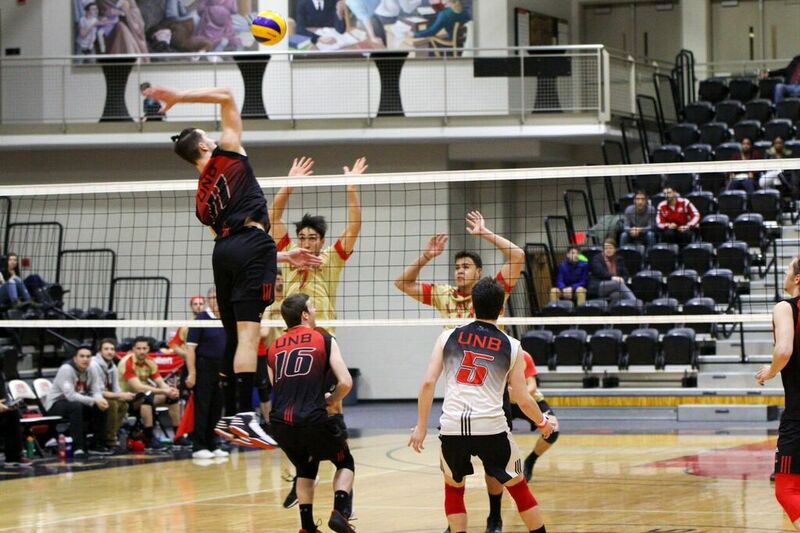 The Thunderbirds advanced to the national tournament after capturing the Canada West bronze medal and the final conference berth at the national tournament with a 3-1 home win over Winnipeg. 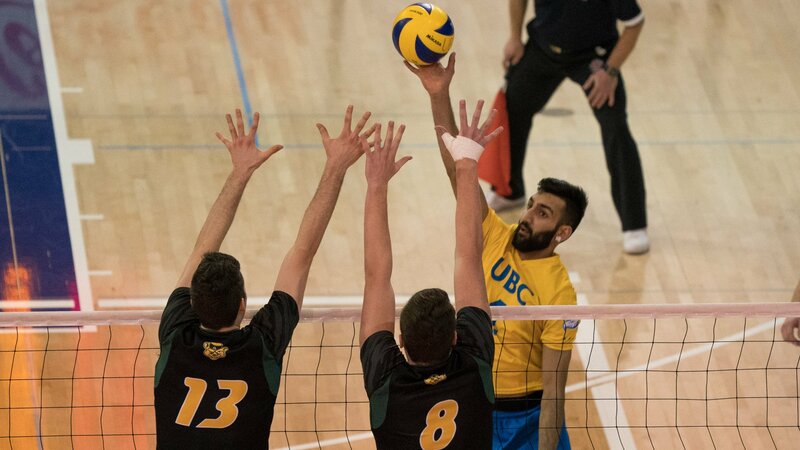 UBC was led all season by a pair of Canada West first team all-stars in fifth-year outside hitter Irvan Brar and fourth-year setter Byron Keturakis who led Canada West with 65 service aces in the regular season. The Thunderbirds bring a deep squad to Hamilton as evidenced by first-year outside hitter Fynn McCarthy being named to the Canada West all-rookie team after finishing top ten in conference hitting percentage along with Brar. The Carabins had an extraordinary year, enabling them to end the Université Laval’s Rouge et Or’s 12-year title streak. During his first season at the helm, head coach Ghazi Guidara led his team to a 14-2 record. His work was recognized with RSEQ coach of the year honours. In total, three players from the Université de Montréal earned a spot on the all-star team (Mikael Dagenais, Gabriel Chancy and Godefroy Veyron-Trudel). In addition to his excellent performances on the court, Captain Alyson Francillon earned the leadership and social commitment award for his community involvement. 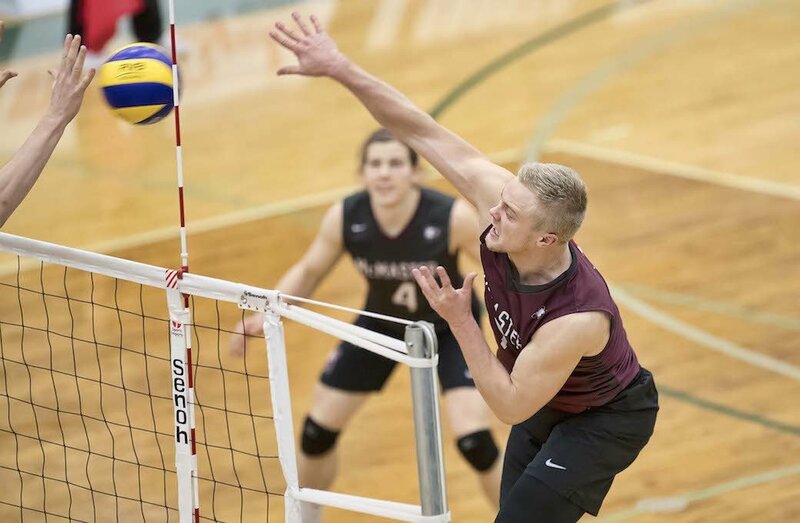 The McMaster Marauders will host the U SPORTS Men’s Volleyball Championship for the second time in three seasons, after capturing their sixth straight OUA championship on home court. After starting the year with another pre-season two-game sweep of the two-time defending NCAA champion Ohio State Buckeyes in the North America Challenge, McMaster went 15-2 through the regular season finishing first in the OUA west division, losing only to Ryerson in the season opener and Western in the second-last game of the campaign. The Marauders then swept Nipissing in the conference quarter-final and downed Windsor in the semis in four sets before making OUA history with a Forsyth Cup final sweep of the Queen’s Gaels. 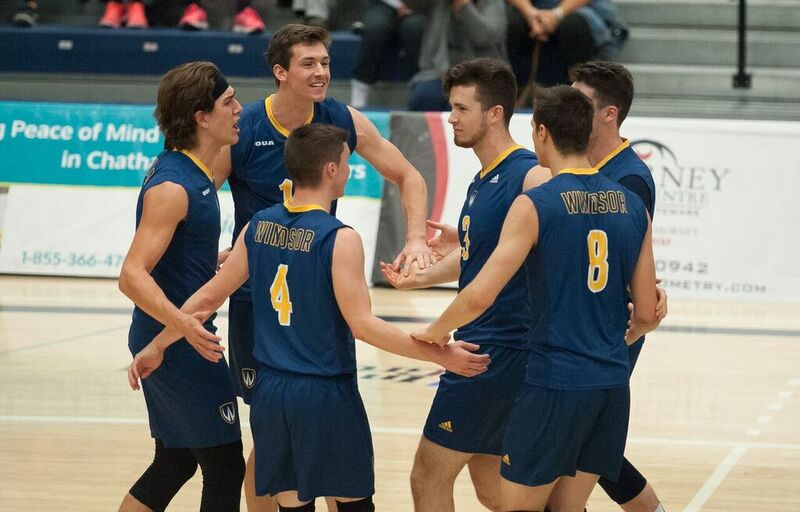 That result secured the Marauders as the longest championship dynasty in the history of OUA men’s volleyball, breaking the previous record of five consecutive titles held by the Toronto Varsity Blues (1995-99). Outside hitter Andrew Richards became the fifth consecutive Marauder to be named as an OUA Player of the Year, winning the OUA West honour, while coach Dave Preston repeated as OUA West Coach of the Year (his fifth coach of the year award). The UNB Varsity Reds went into the 2017-18 looking to fill some big holes. After winning a second consecutive Atlantic University Sport title in 2016-17, the Varsity Reds graduated three conference all-stars, including former AUS MVP Eivind Andersen. UNB went 3-3 in their first six matches, including wins over the Dalhousie Tigers on back-to-back weekends in mid-November. A late December trip to Winnipeg saw the Varsity Reds upset the then U SPORTS No. 10 Manitoba Bisons in exhibition play. Unfortunately, injuries hobbled the Varsity Reds through the remainder of the regular season. UNB went 1-8 to close the year, finishing with a 4-11 record, before capturing the AUS championship with a 3-1 win in Game 3 over Dalhousie. In her final season as head coach of the Queen’s men’s volleyball team, Brenda Willis led the Gaels once again back to the OUA Final Four and U SPORTS national championship. After a 4-3 start to the year, Queen’s managed just two wins in their next five games to sit at 6-8 with the OUA playoffs looming. In their final four games, the Gaels won out, with key sweeps over Toronto and the East division-leading Ryerson Rams in Willis’ final home game in front of a raucous crowd of friends, fans and alumni. The Gaels claimed the third spot in the East and travelled to London to challenge the second-seeded OUA West division Western Mustangs. 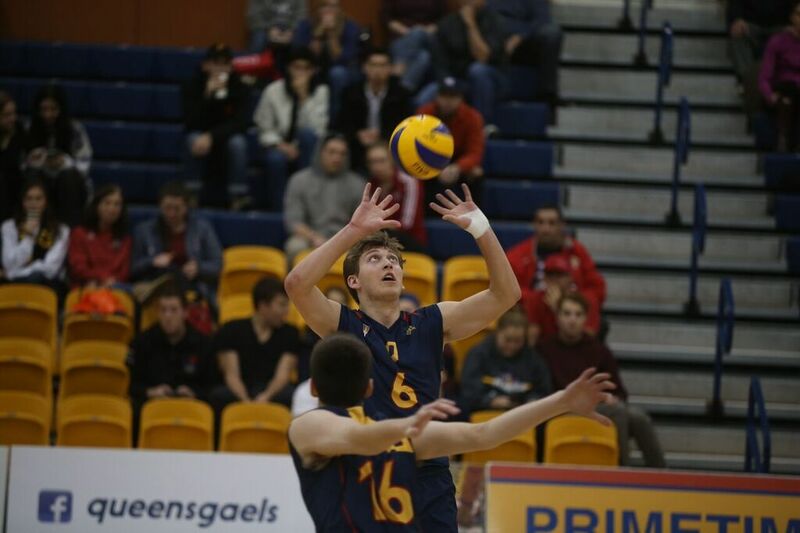 Queen’s pulled off the upset in four sets led by an impressive performance from rookie setter Zane Grossinger to advance to the Final Four. At the Final Four in Hamilton, the Gaels claimed an OUA silver medal and booked their ticket back to the U SPORTS national championship for the first time since the Gaels hosted the event in 2012. The Lancers are making their very first appearance in program history at the TELUS 2018 U SPORTS Men’s Volleyball Championship. Windsor claimed the OUA bronze medal by defeating the Ryerson Rams to qualify for the tournament. Following two challenging seasons, the Lancers bounced back in 2017-18, finishing with a 10-7 record to place third overall in the OUA west division. The Blue and Gold upset the York Lions in the conference quarter-finals to advance to the final four for the second time in four years, and only the fourth time in program history. The OUA all-star trio of John Moate, Pierce Johnson and Brad Gyemi will boast a big offensive threat, having finished amongst the league leaders in multiple categories. 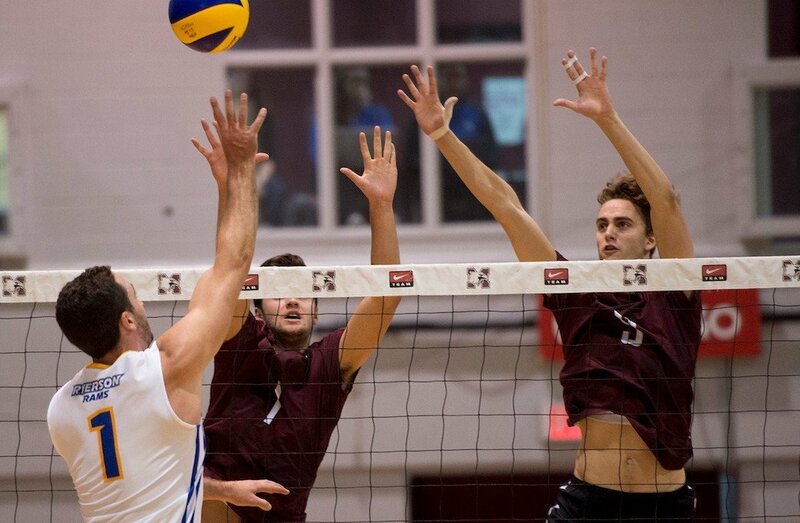 An OUA first team all-star, Moate finished the year fourth in the nation in blocks per set, averaging 1.26. 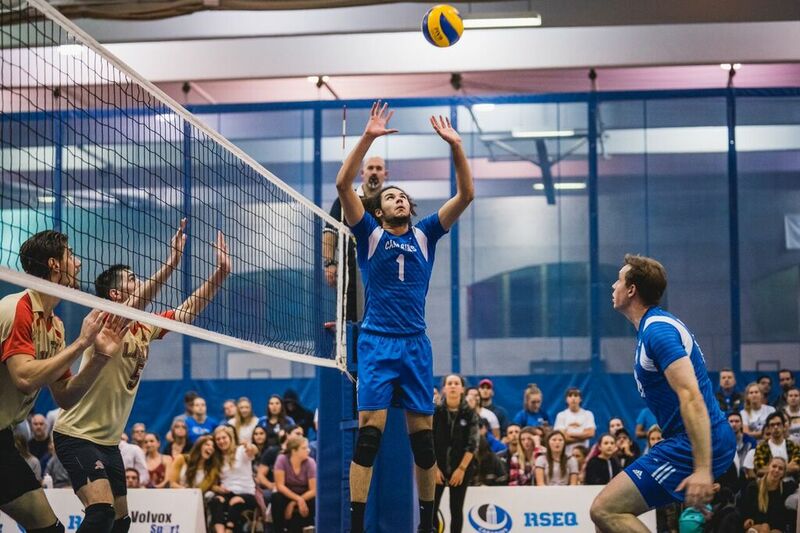 Johnson, a 2017 all-rookie team member, was also a first-team all-star finishing third in the OUA in total kills with 228, while Gyemi made his second straight appearance as a second-team all-star, finishing the year with 205 total kills, to place him fifth in the OUA.